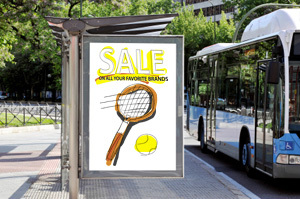 We are able to output stunning Large and Small Color Posters, Banners and Signs on a variety of substrates including UV Resistant materials for your outdoor signage. For example: Special Event Posters mounted on foam core board, Grand Opening Banners printed on vinyl with grommets, Large Stand Banners with carrying cases, Canvas Art Prints, Table Top and Point-of-Purchase easel back signs. Customizable Marketing materials for YOU to use FREE that include professionally written content. Insert your logo or name and photos to our designs. Thousand of materials from business cards to direct mailers and everything in between. PLUS over 20,000+ images to choose from. Shouldn't your stationery be as unique as your business? Give your company an engaging brand identity through professionally designed letterhead, envelopes and business cards as well as brochures, flyers, large format posters, banners, point-of-purchase displays and more. With our in-house bindery services we can score, fold, wiro bind, perfect bind, drill, or saddle-stitch your special projects. Send your message loud and clear with big, beautiful, full color signage. Business is built on relationships. With our variable data color printing you can deliver a completely personalized message. Offering both variable text and variable images, you can send postcards, flyers and brochures that are not only personally addressed but also industry specific. 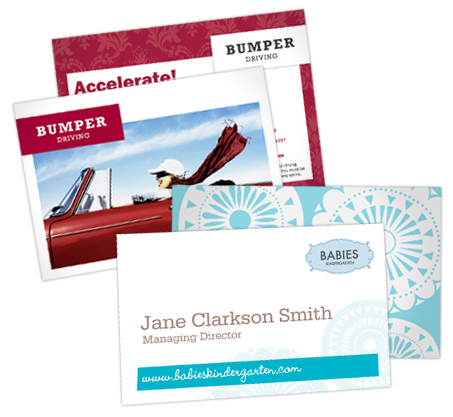 What better way to show your existing and prospective clients that you know who they are, and what's important to them.